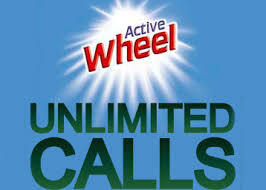 Active wheel is offering an anazing offer in which you will unlimited call your friends free of cost . No balance will deduct from your mobile balance to use this offer. Previously Active wheel offered 10 rupees recharge by giving misscall. Isnt it a loot. Just follow steps below to call unlimited call to your friends. 2) After giving misscall you will recieve call back within 15 minutes. 3) Pick up the call and follow the instruction told by them on call. 4) Say your name and the friend phone number to which you will want to call. 5) After Giving your name and friend phone number your friend also recieve a call . 6) Once your friend pick the call. You and your friend both will get connected. 7) Done ! Enjoy talking with your friends unlimited freely. Hurray !